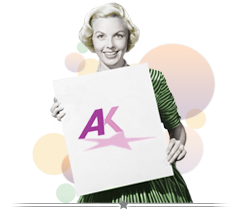 AKA launched in 2006 with Anne Kibel Artist Management gaining a reputation far beyond its size. Establishing itself as a proven force in the food and lifestyle arena, AKA is in daily contact with all major broadcasters, production companies, publishers and PR agencies and represents clients in terms of their television, publishing, endorsement and corporate work. Anne’s expertise was honed as a business partner of TFA Group, giving her an extensive knowledge of the requirements of the industry and enabling her to successfully facilitate a diverse range of projects.